How To Plan & Host a Casino Night Fundraiser? | Casino Parties | How To Plan & Host a Casino Night Fundraiser? However, running a successful fundraiser is easier rather than actually done. We are here to help with the best casino night fundraiser ideas. Be it a small or a big event, there’s one thing that BAM Casino Parties can always attribute to the success is proper planning! We could generally notice that they haven’t given it any thought yet. So, now the key steps like setting revenue goals, managing and thus executing are few of the crucial parts related to the planning process. Throwing a Casino Night party can be a great experience for everyone involved as long as it is done responsibly. 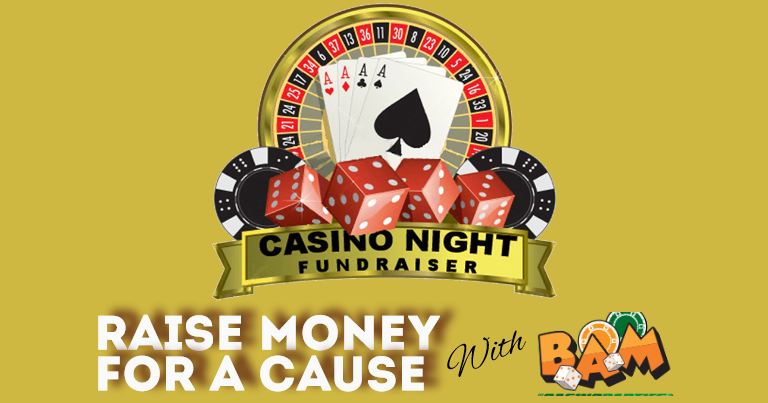 A casino night fundraiser is a great way to raise money for charities or non-profits. Although, running a successful fundraiser is easier said than done. No matter how big or small the event, there’s one thing we can always attribute to their successes: proper planning! 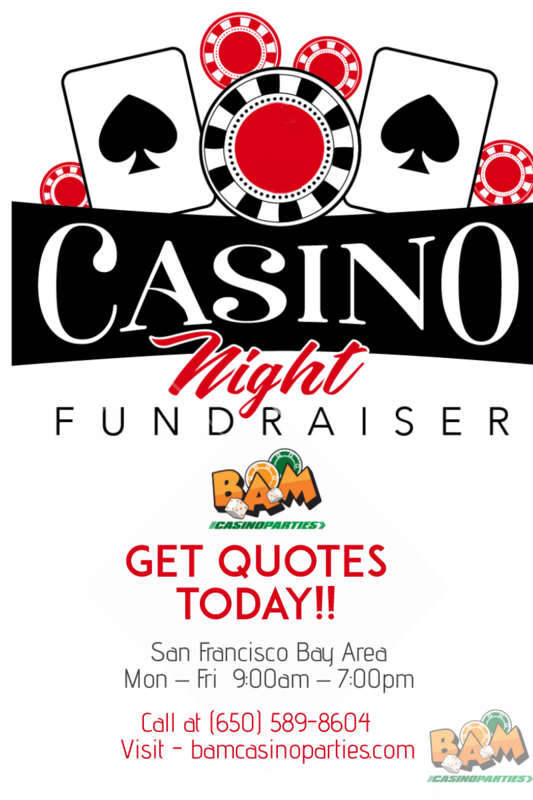 There is no doubt in it that putting together a charity fundraising event like a Casino Night Fundraiser in San Francisco can be a lot of work altogether unless and until you’re well-organized. These events are one of the most necessary ones that can aid financial assistance to various causes and would definitely turn out to be the best if your guests love the light-hearted mood, entertainment, and casino games. Events like these often include dinners, live entertainment, live and silent auctions, sponsorships, games and a host of other details that require plenty of advance planning. Determine What type of Casino Night party to throw. It might involve card games like poker or blackjack, or expand to include roulette, Texas Hold-em Poker , Craps, or any other Casino Party Games. The key is to have the particular “type” of event in mind. Establish a budget and set a goal for the amount of money to be brought in. Once established, stay within the budget, even if it means changing certain aspects of the Casino Night Fundraising event. We Arrange for any equipment, furnishings, and decorations required for the event. we can provide most, if not all, of the things needed to pull off the event. First of all, let’s know the things that you need to know before the Casino Night Fundraising event. 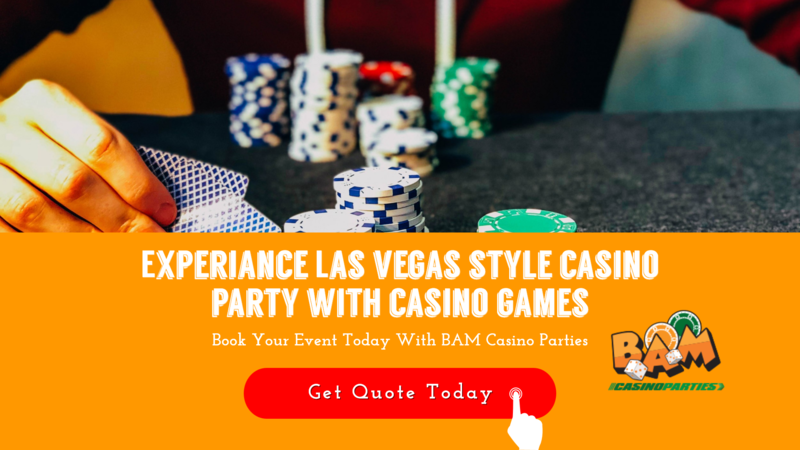 We at Bam Casino Parties have listed certain points that might not be applicable for your event however, we have attempted to address a few of the typical scenarios that an organizer will likely encounter. Let’s take a dig at it. Let’s Get Started: Volunteers act as pillars for getting the things done. Divide the tasks accordingly by keeping in mind the skill set of your volunteers. Keep in mind that assigning too many people for a particular work can slow down the things. Have everyone call or visit their contacts to ask for the help with donated products or services. 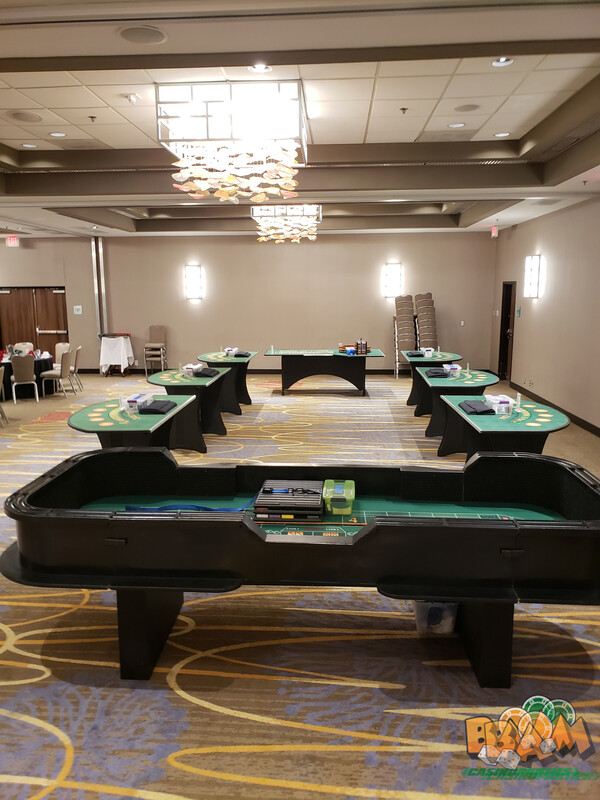 For your games, you can contact party supply and equipment rental firms like BAM Casino Parties. We specialize in supplying casino rental equipment and dealers staff to run the games, deal the cards, and explain the games, etc. Know Your Goals: This is usually noticed that most of the organizers are unable to answer about how much money would they like to raise for a fundraiser. Having a realistic goal in mind is the best you can do. This should include the entry fee price and expenses as well. It is always better to know and then decide the money you would want to make from an event. Setting ticket prices – This is your primary source of revenue generation and the financial success of your fundraiser event depends on meeting your goal of selling tickets. Assign the task to more than one person for the smooth flow of the tasks. Table sponsorship – Table sponsorship can also be one of the tasks that should cover at least the entire rental cost of the casino staff and the casino rental equipment. Drink sales – For offering your guests a complete Vegas experience, drinks are the must. Be it cocktails or mocktails, have it all ready. What’s a party without any drinks and food? Also, don’t expect every person at your fundraiser event to be playing at the tables. Just plan for them to be walking around and socializing with one another. Food – To keep your guests involved in the party, try serving finger foods so that their hands are not engaged often and they can play easily. You can definitely charge your guests for the dinner and perfectly earn revenue from this that can also add up to the fundraiser event profit. Auctions – Auctions can serve both the purposes and are something that usually turns out to be fun for the guests attending your event. This gives an alternative activity to playing at the casino table and another opportunity to engage in the entertainment as well. 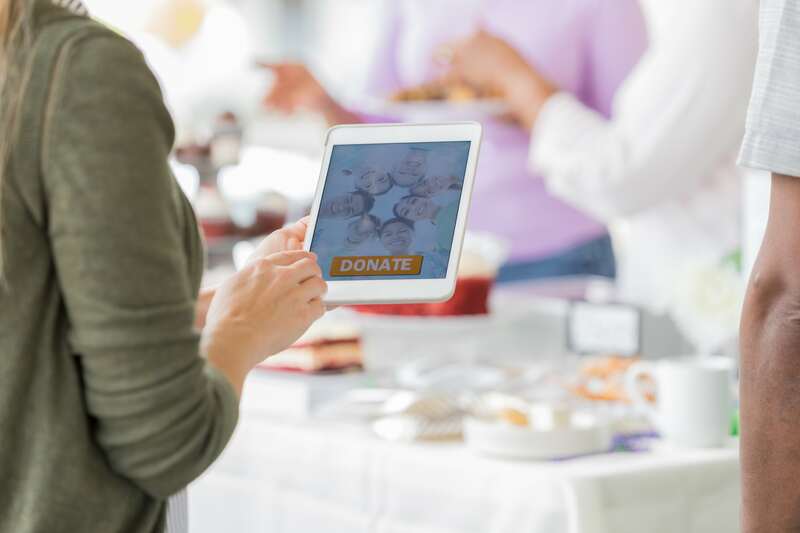 Take care of all these things in a way that it doesn’t act as a hindrance to a successful fundraiser event. Publicity: To turn your casino fundraiser event a successful one you need to have great media coverage. Publicize it via print media, send emails, newsletters and more. Put together a press release that will summarize the entire highlights of the evening and also let you explain the mob for raising funds. Include all the details related to the attendees, sponsors, auction items, entertainment, venue and contact information. Send it to all the media outlets well before your event. Casino fundraiser events offer various ways to raise funds and are easy to promote as well. Just plan everything ahead of time and enjoy a great time at your event. Get dressed and have fun while contributing for a good cause. Isn’t it great?